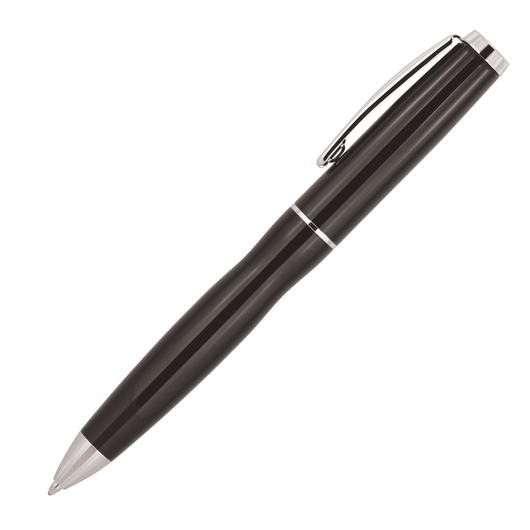 Be inspired and express your ideas on paper with this Swiss made Derofe metal pen. A Swiss made fine writing instrument that comes engraved with your client's logo or name to create a personalised promotional gift of elegance and superior quality. Packaged in superb, black presentation gift box. It has a Derofe metal refill made in Switzerland, with a ballpoint of 1.0mm and 9,300-9,500m writing length. 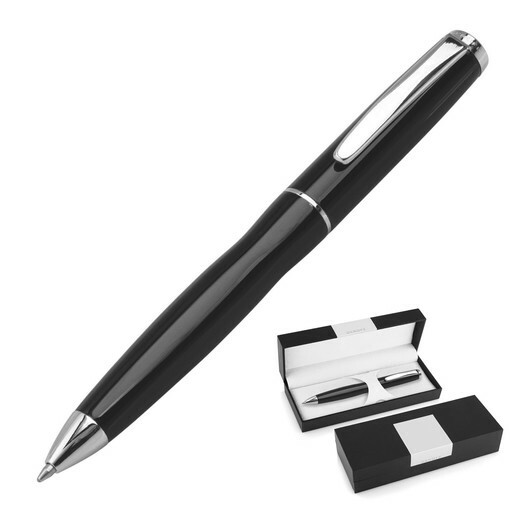 Finished in smooth black with chrome trim and sporting twist action, retractable ballpoint in black ink, this is a pen bound to suit your logo.